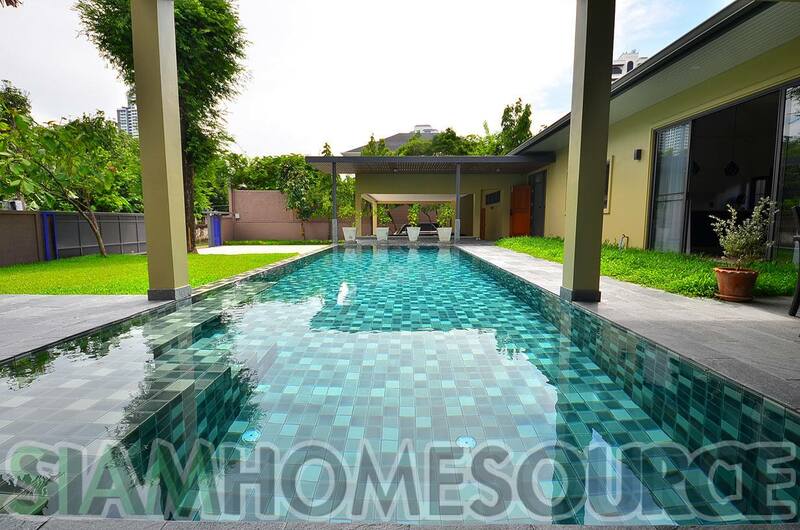 Those looking for a fresh, private house in Central Bangkok should look no further than this beautiful, newly completed in mid-2017. 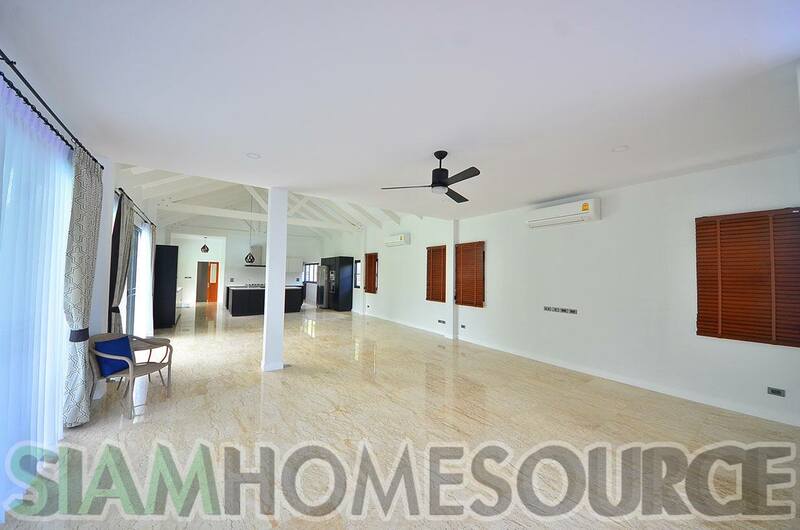 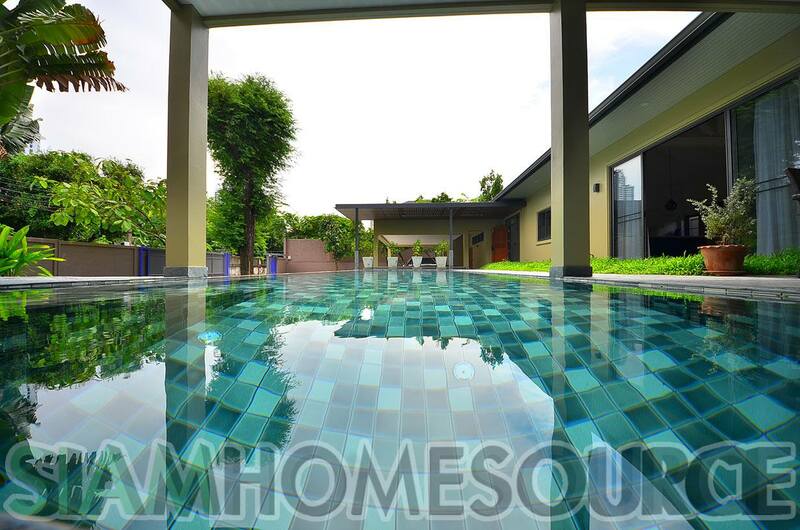 The spacious house with private pool is situated on a 200 talang wah (800 square meter) land plot and offers a modern and stylish interior design. 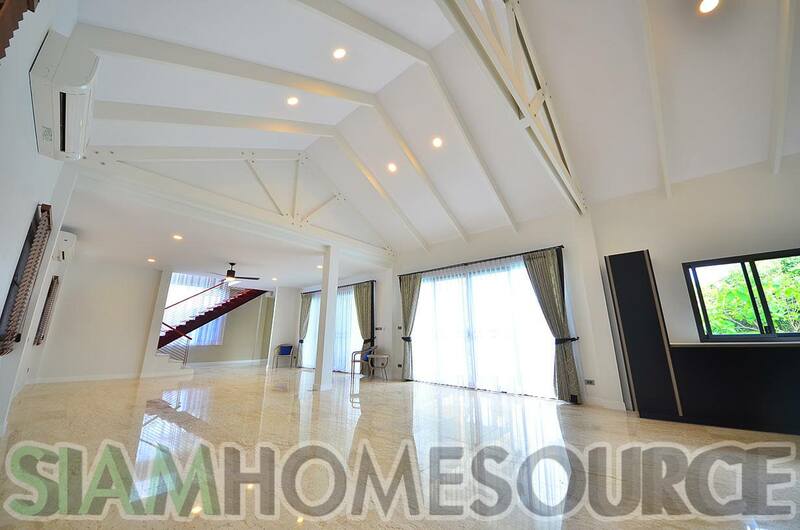 The first floor living space offers a spacious. 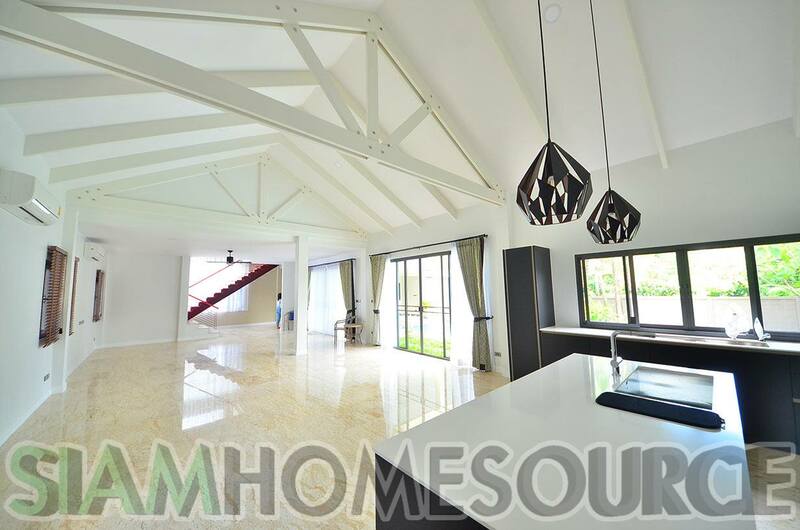 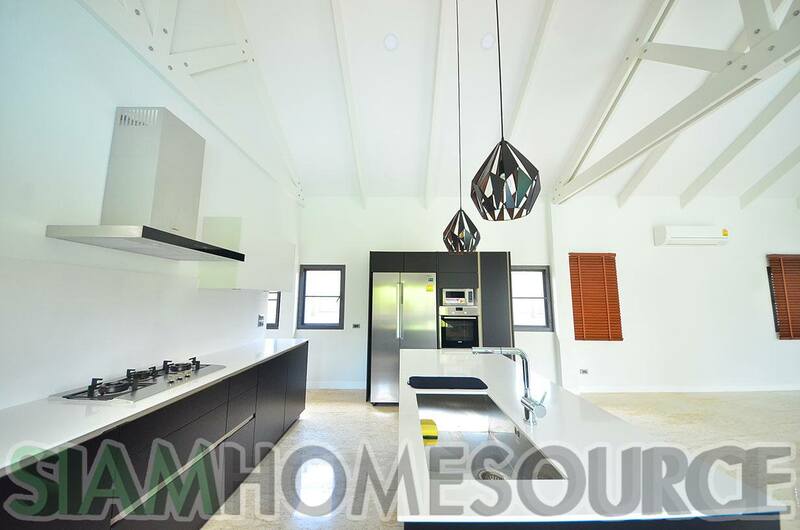 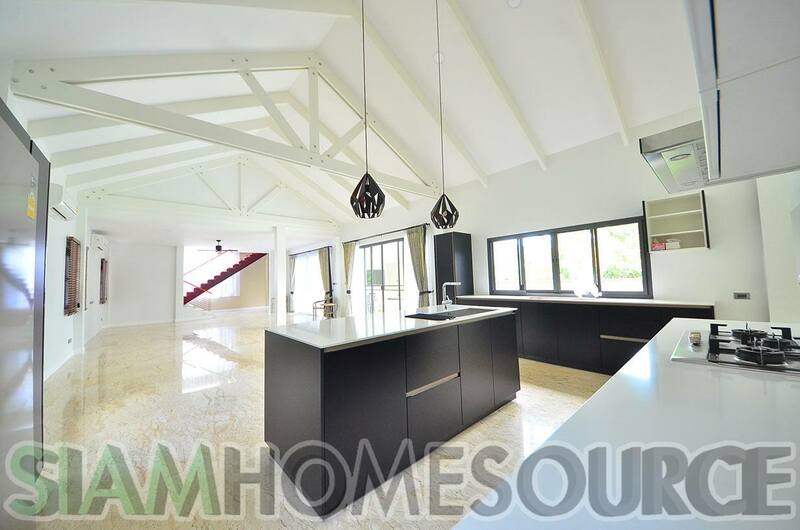 open living and dining area with voluminous and aesthetically pleasing vaulted ceilings. 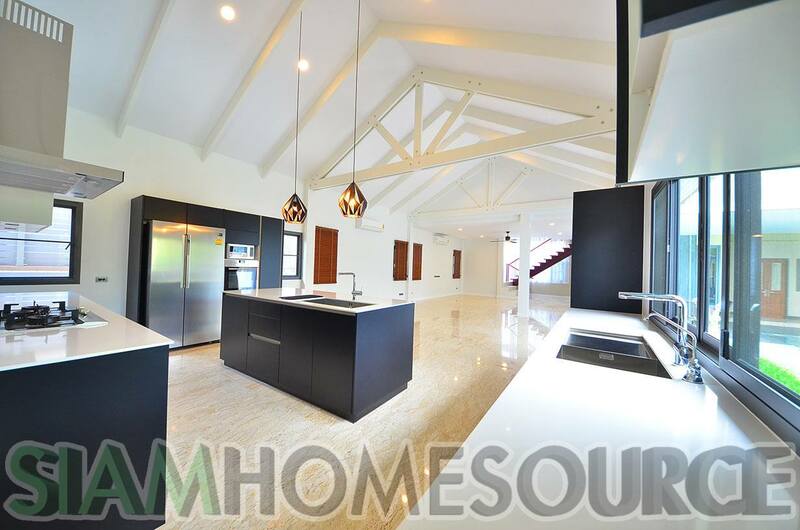 Adjacent to the dining area is an open Western kitchen with island and two separate dual basins and more than ample counter space. 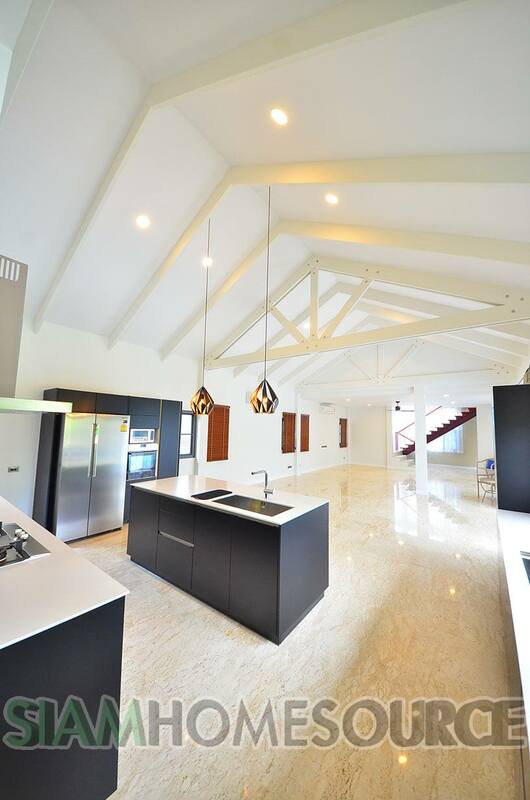 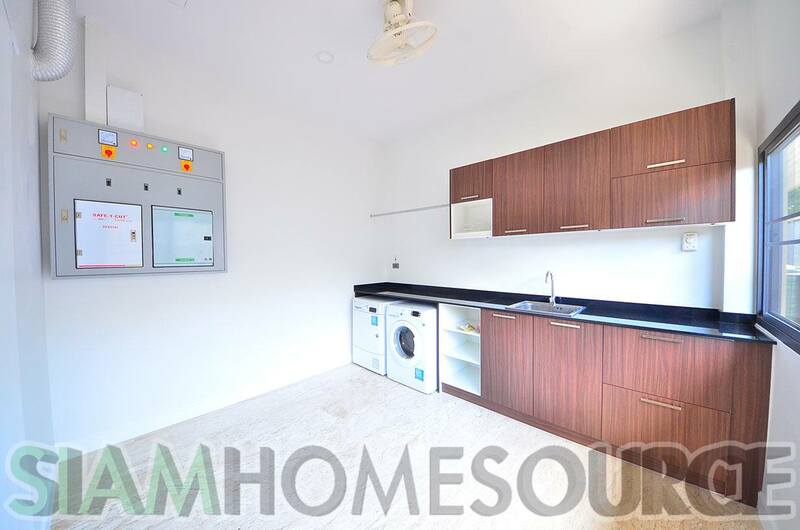 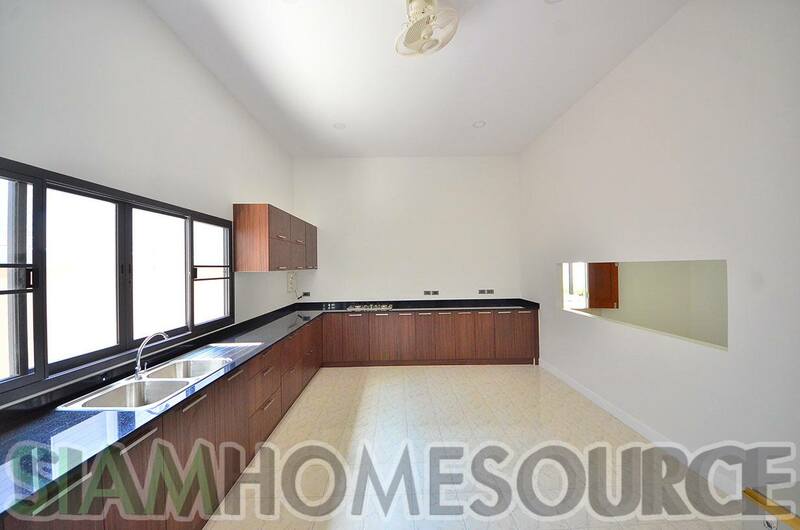 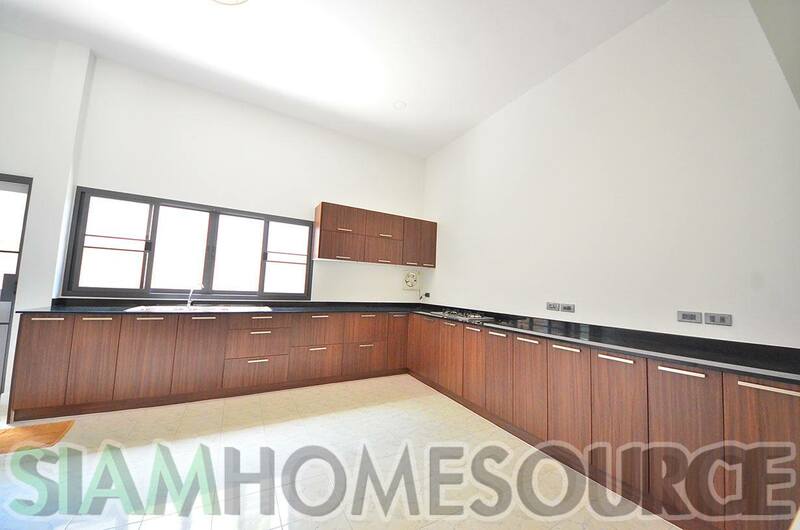 Attached to the Western kitchen is one of the largest maid’s areas for a house of this size in Bangkok. 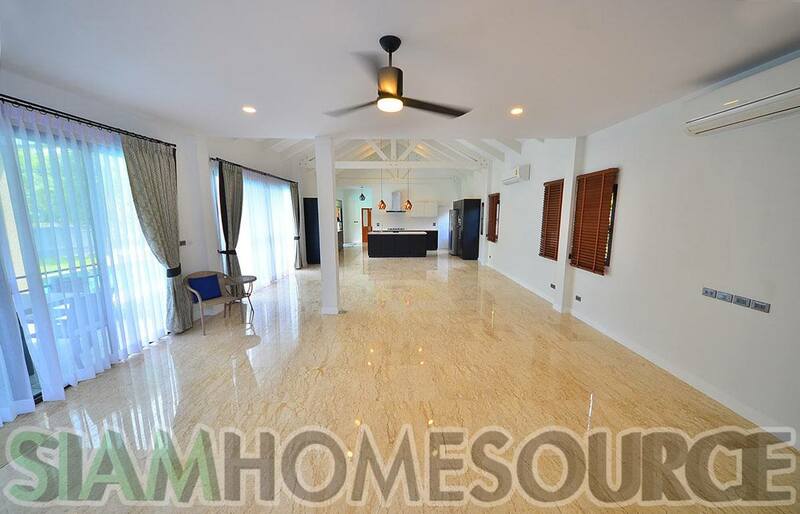 There is a large Thai kitchen, spacious laundry area as well as two maid’s quarters with a shared bathroom. 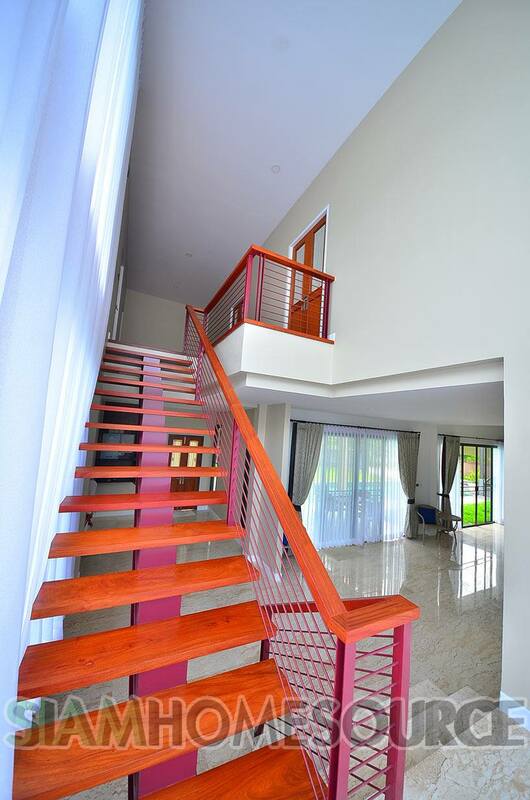 Up the solidly built wood and I-beam staircase are the 4 bedrooms all with locks. 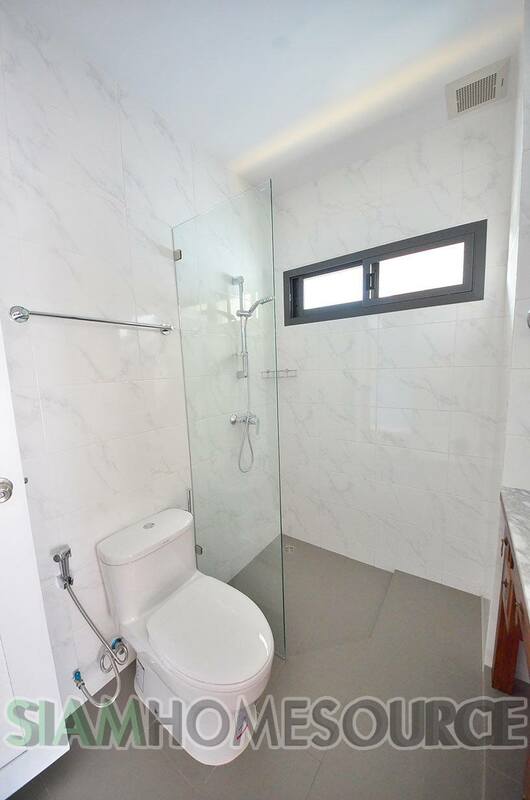 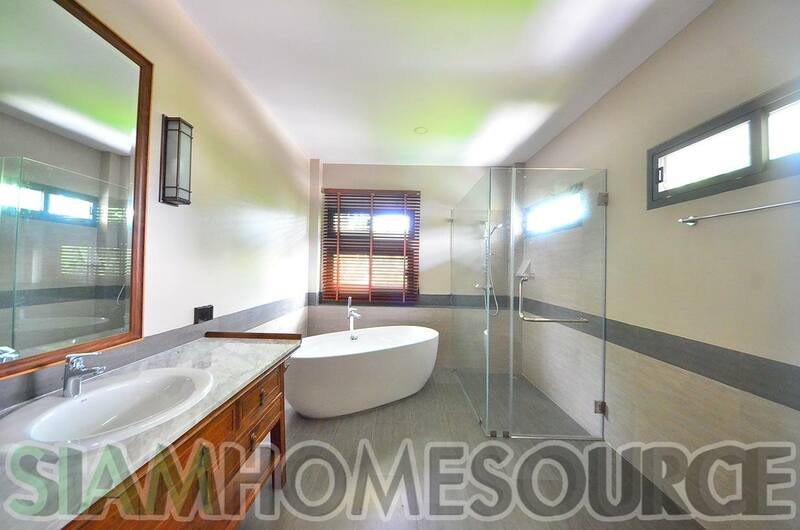 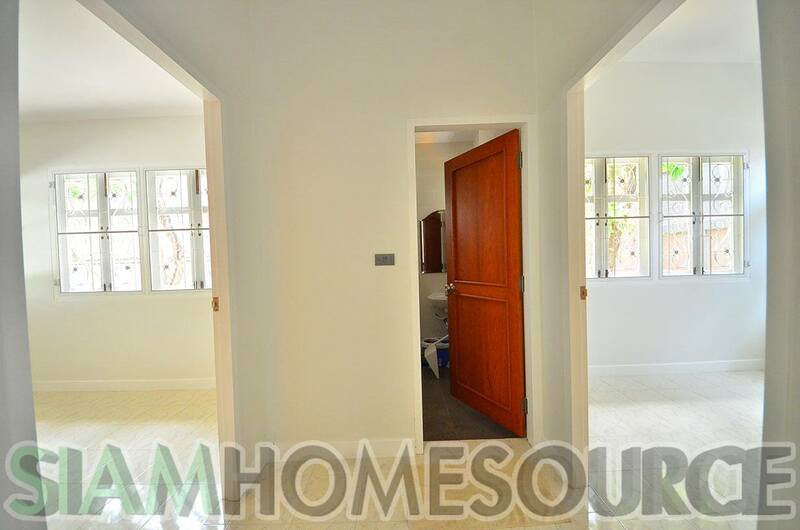 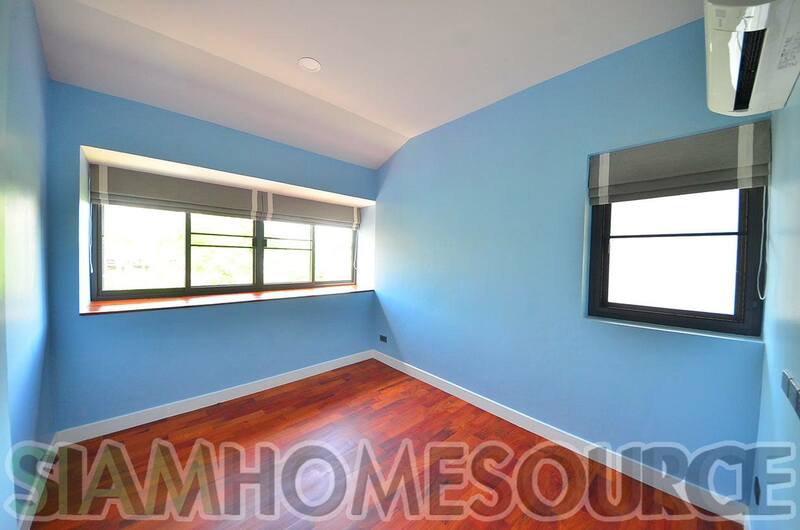 The master bedroom in this house with private pool has a spacious walk-in closet and bath tub. 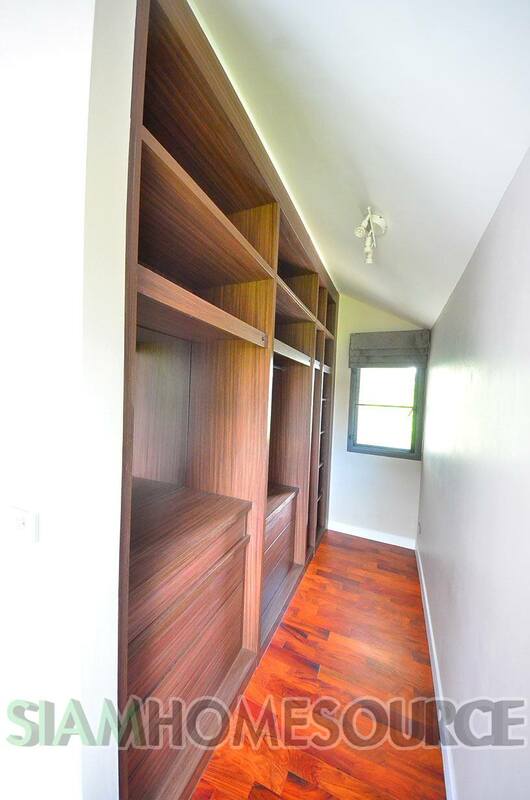 There is a versatile fifth room alongside the pool with ensuite bathroom which can be used as a bedroom, game room or more. 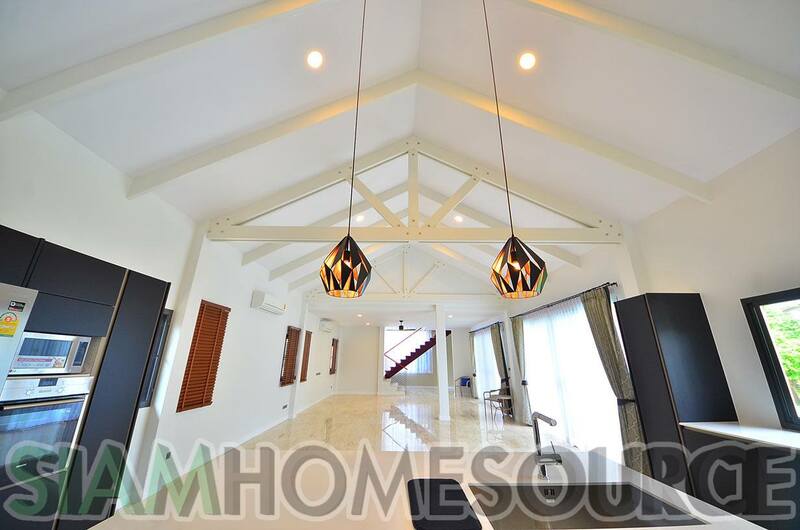 The house has a carport for 2-3 cars, space to park several more inside the electric gate, a beautiful garden and fantastic private pool with covered patio. 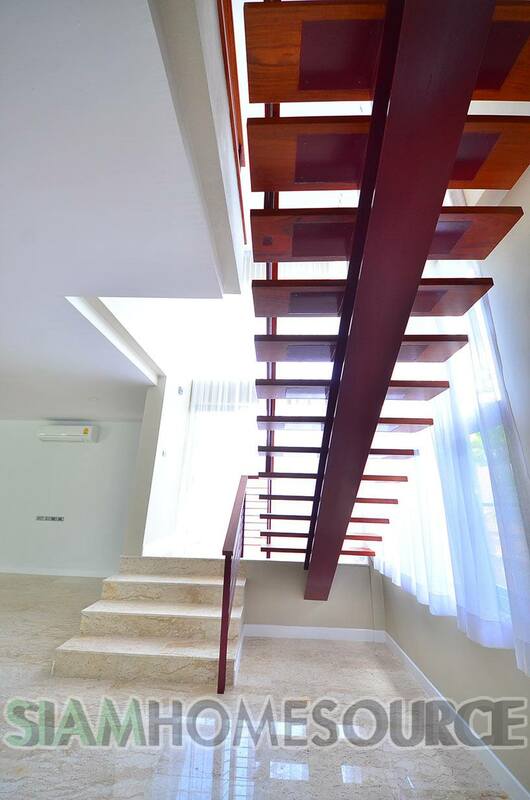 The house is also elevated well over a meter above the street level for optimal drainage and flood prevention. 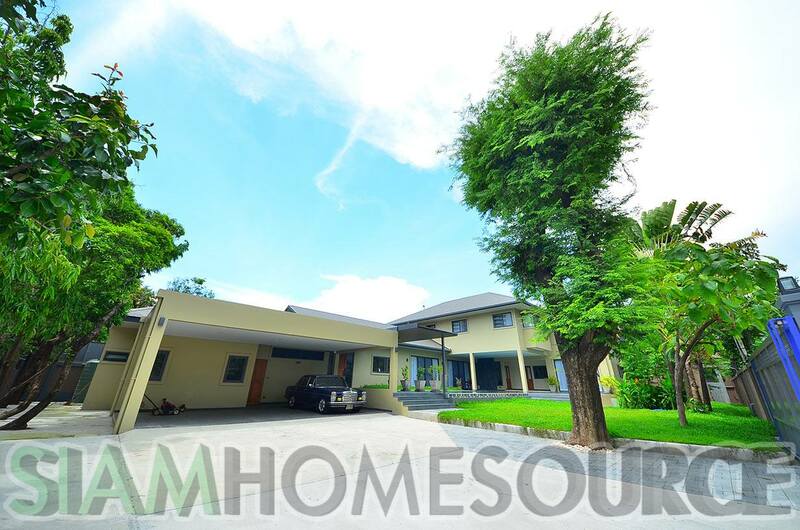 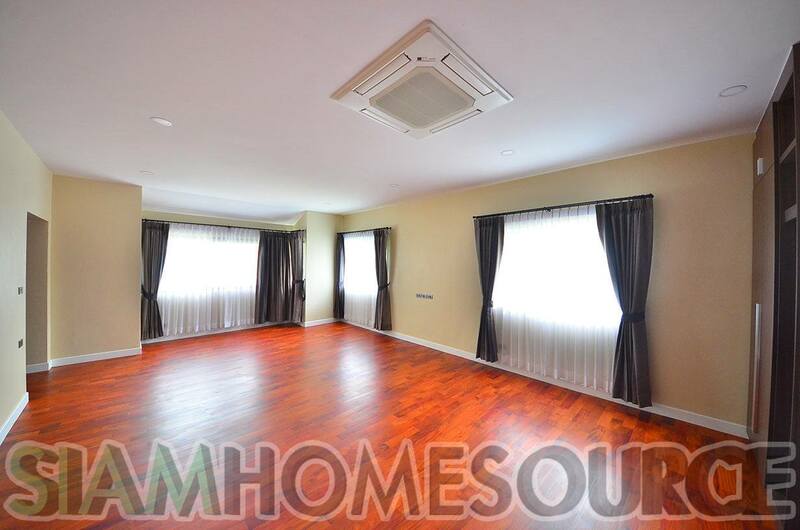 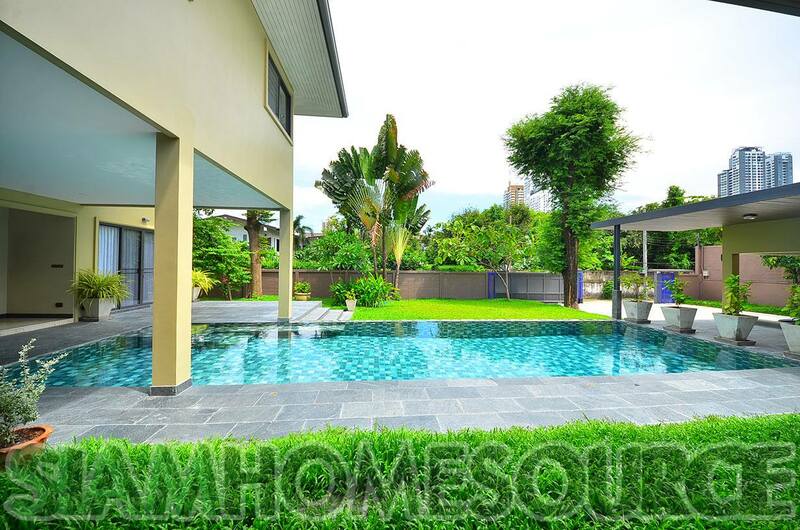 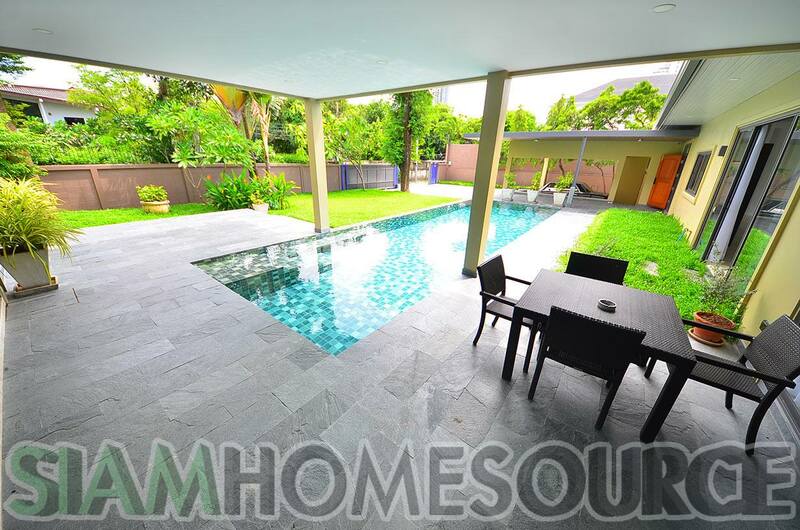 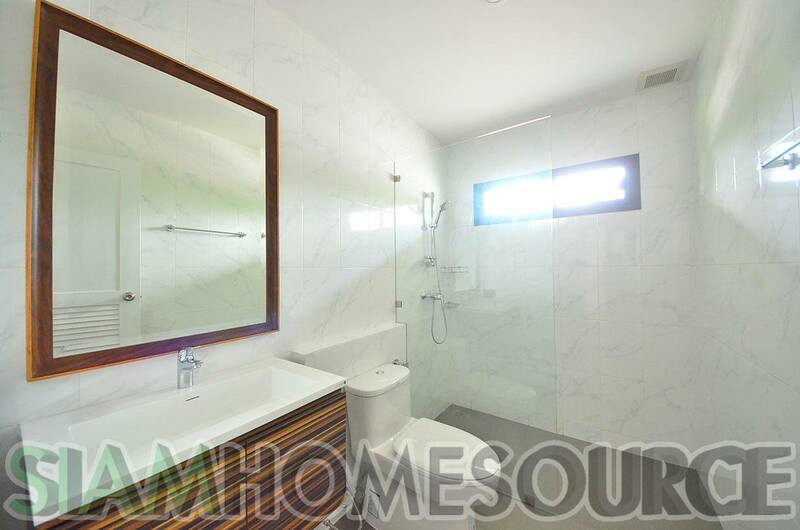 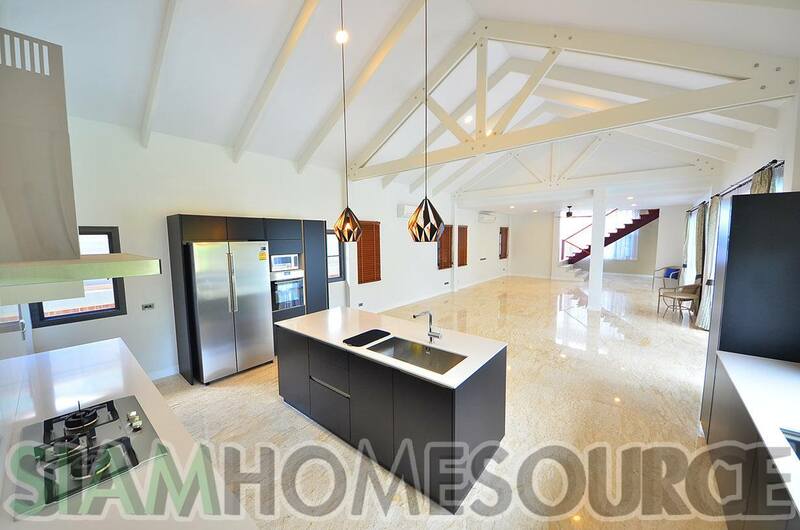 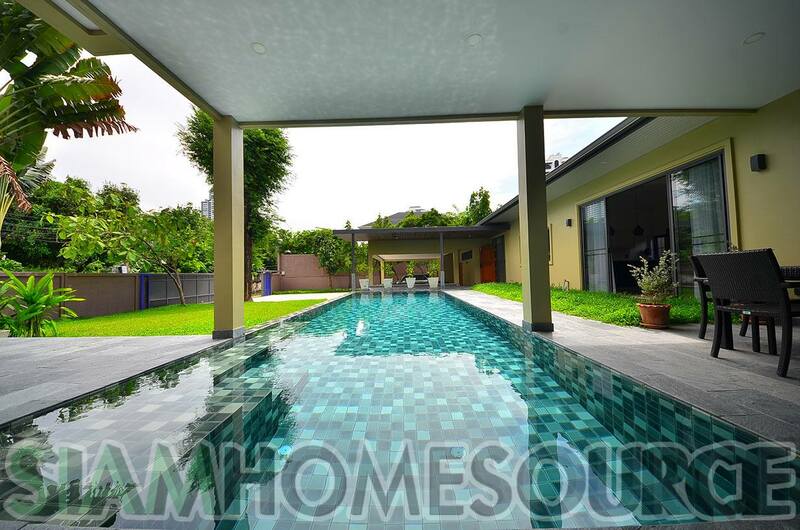 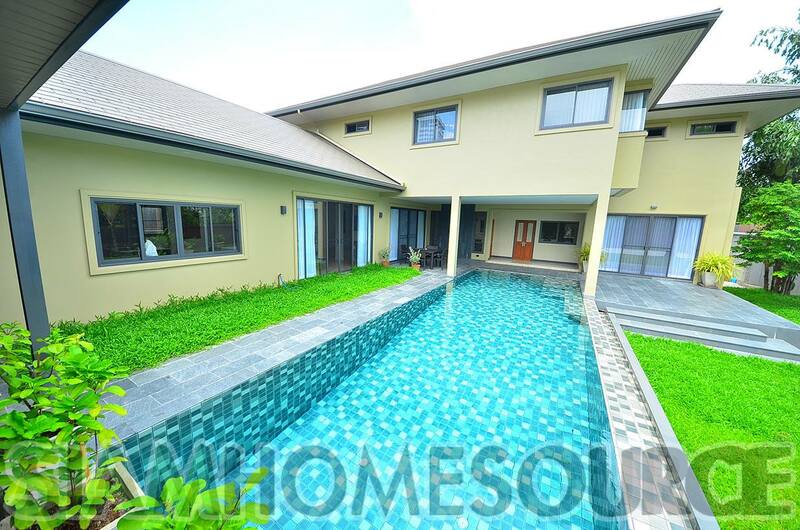 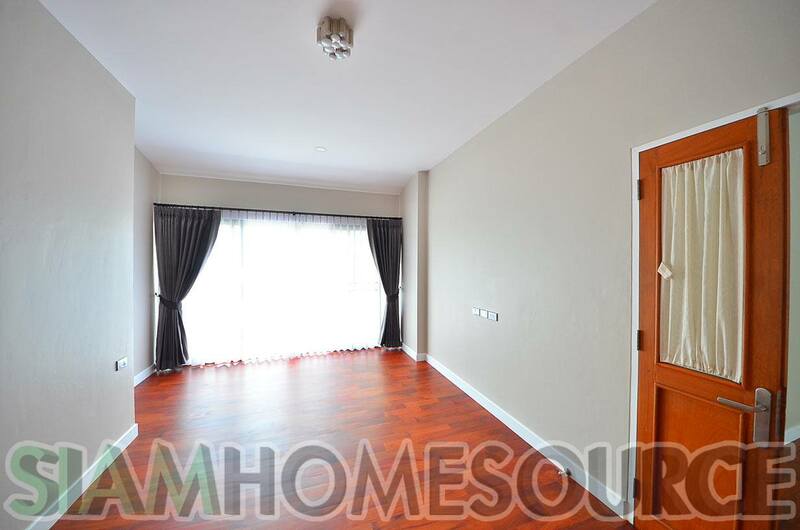 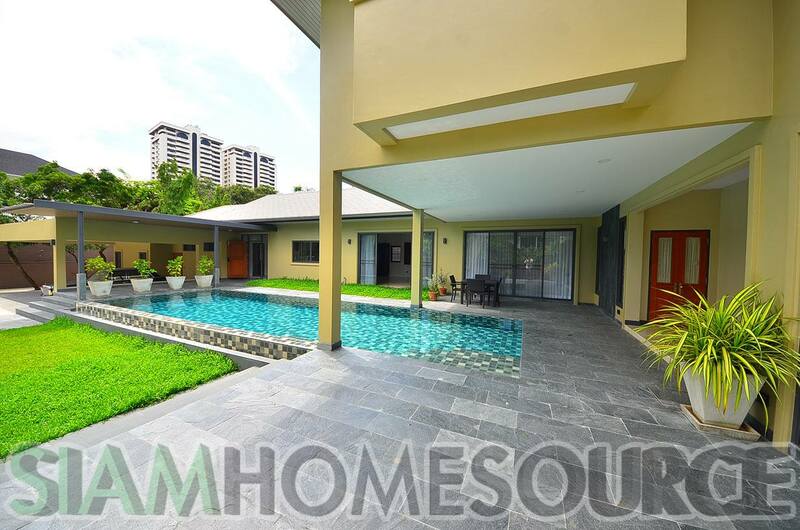 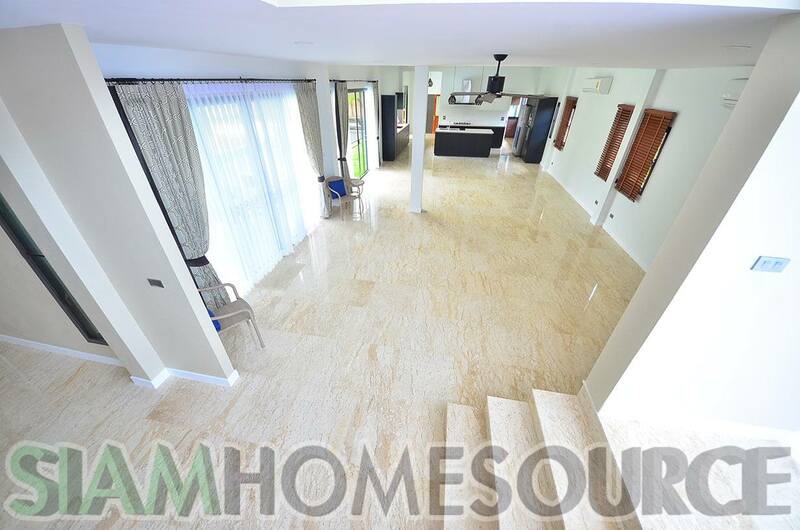 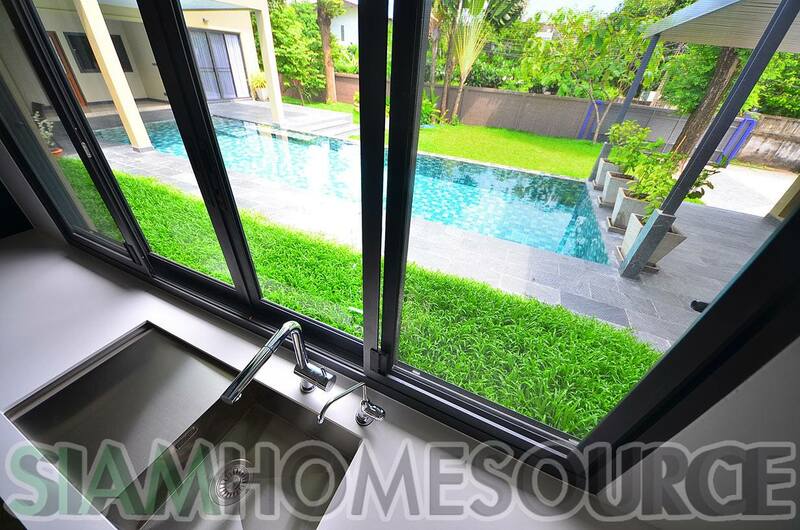 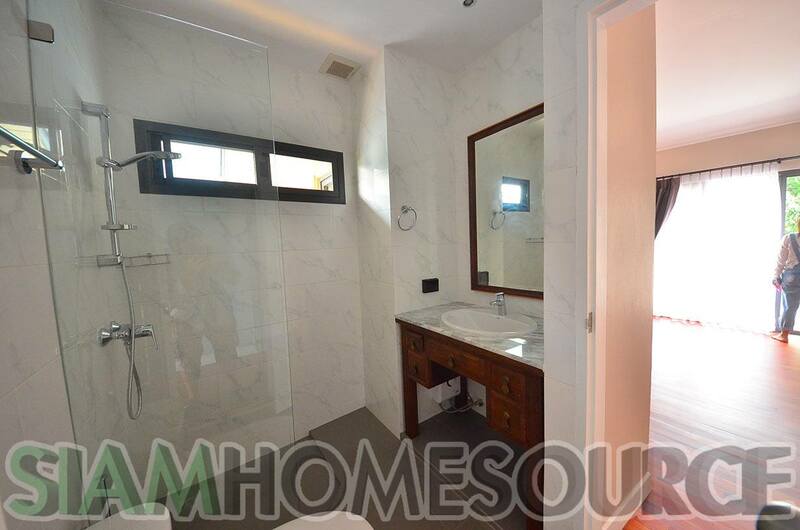 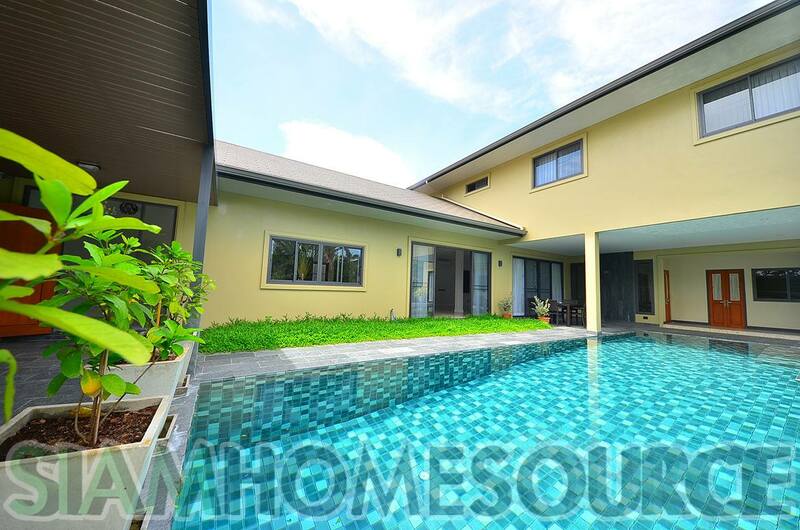 This beautiful modern house with private pool is located in the heart of Phrom Phong, an area which is very private and quiet with little traffic. 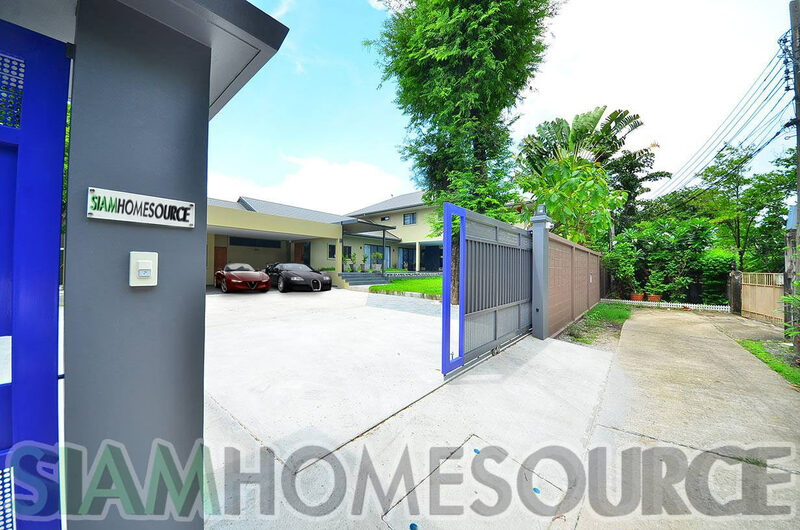 The location allows you to drive to Sukhumvit Road in 5-10 minutes and also access Petchaburi Road. 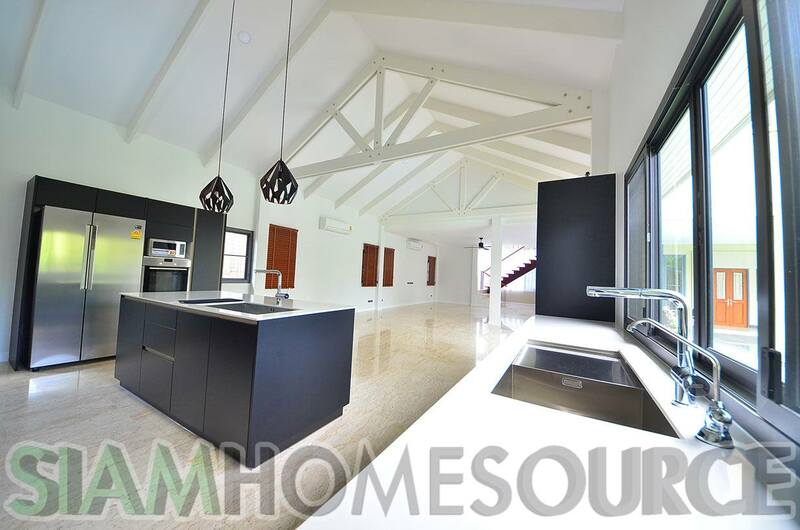 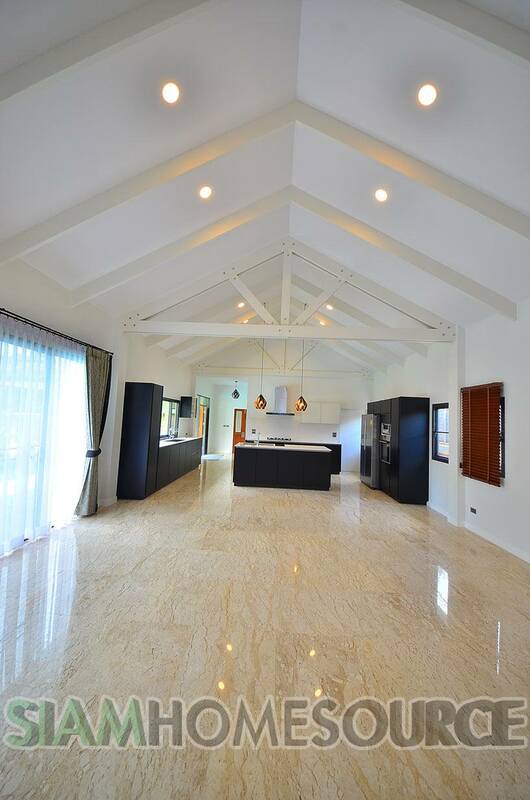 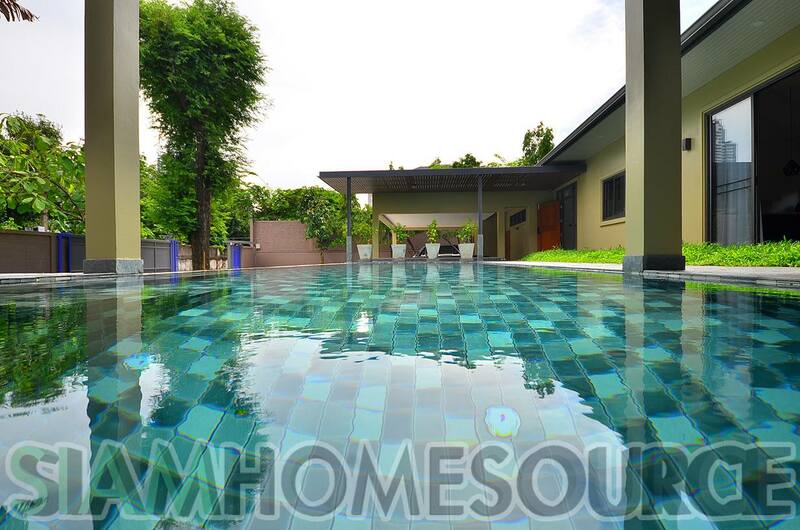 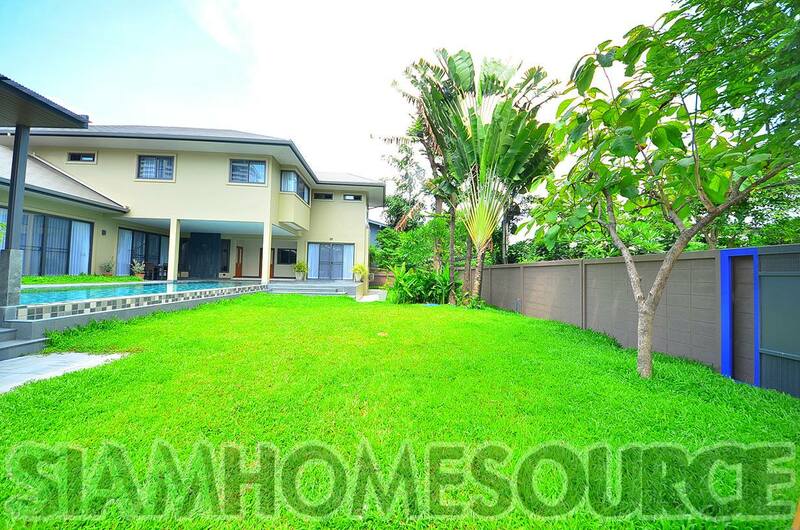 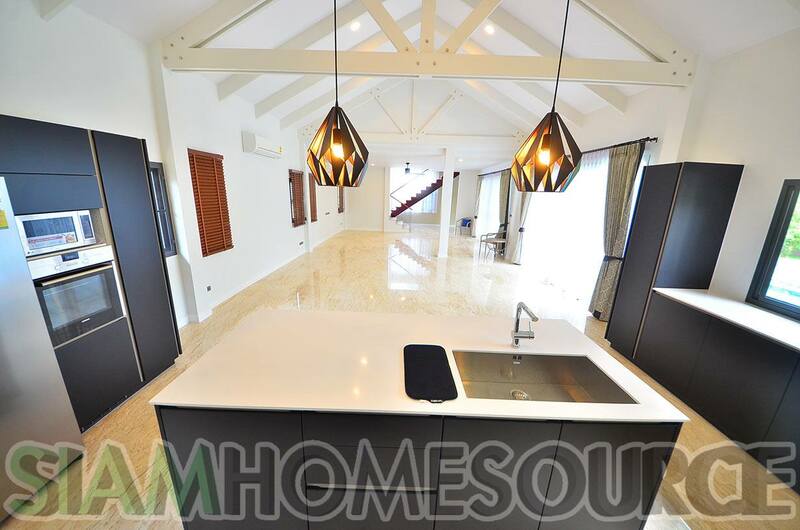 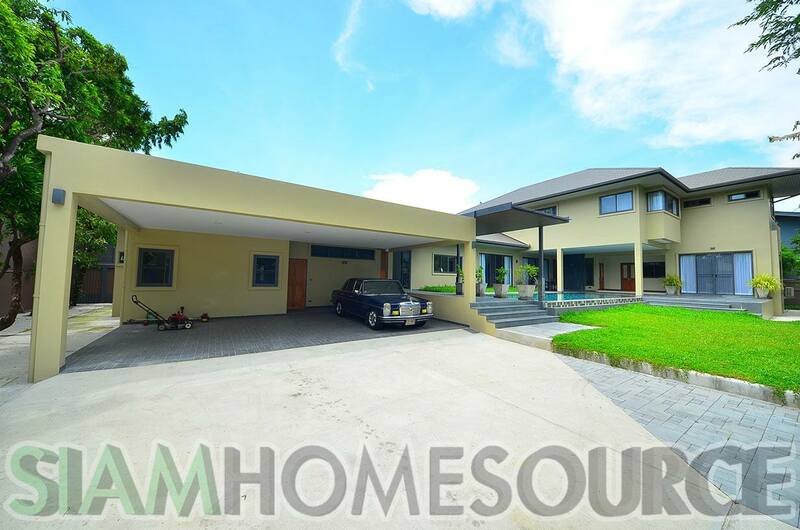 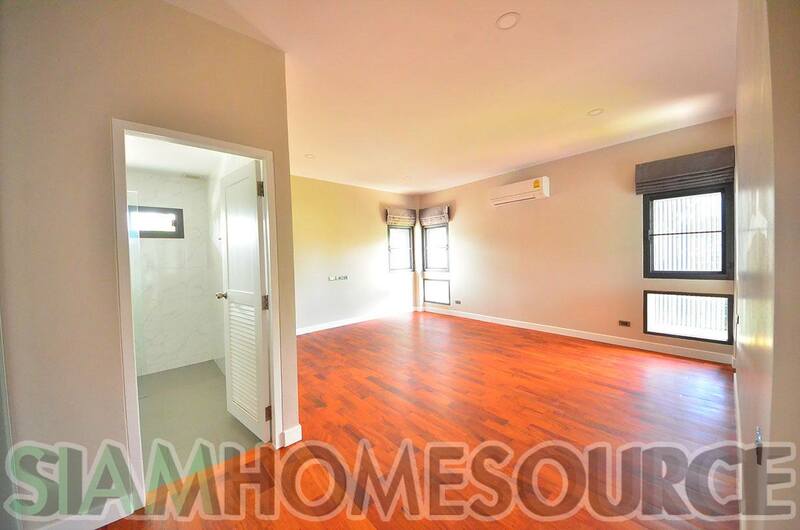 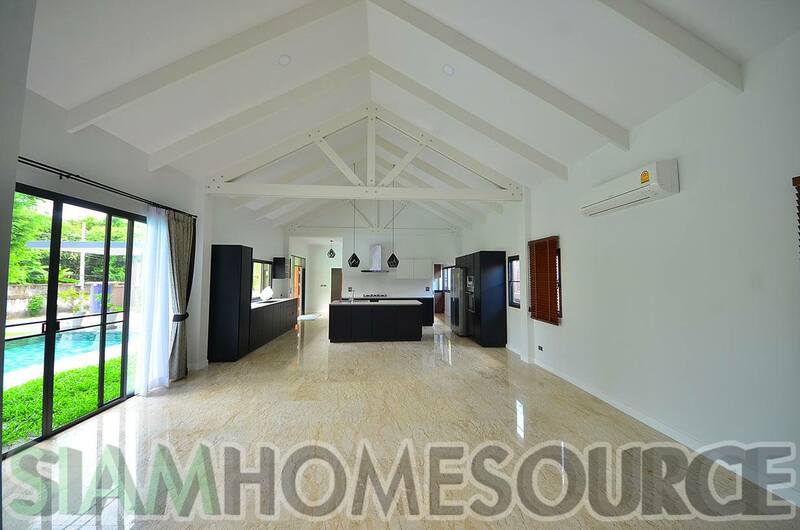 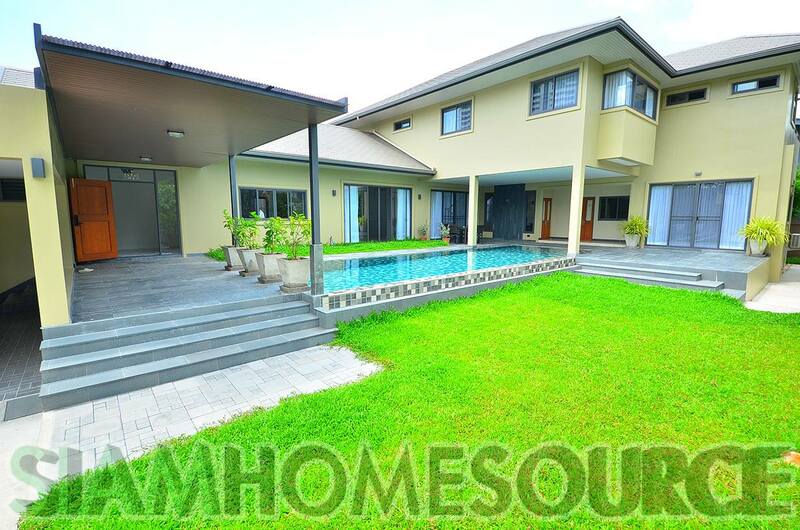 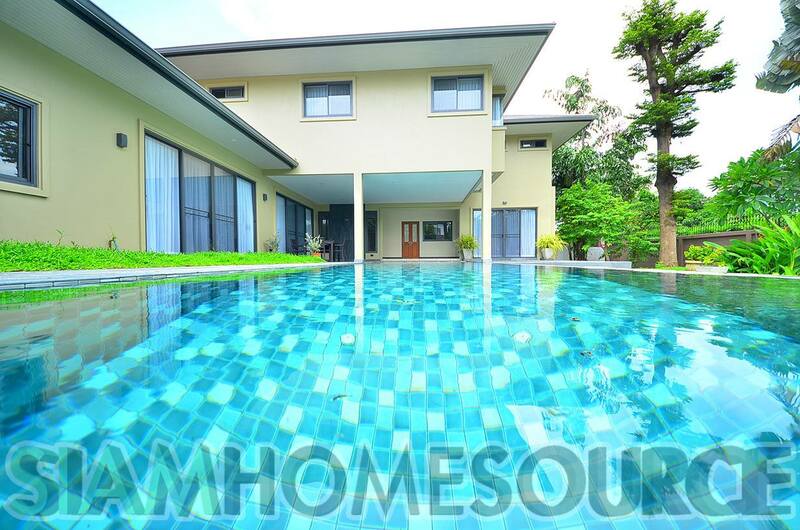 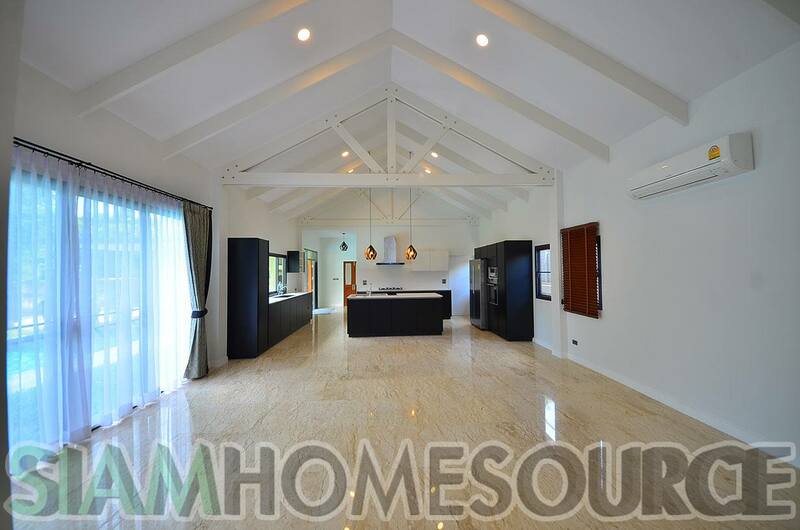 The house with private pool is available at 200,000 baht per month for a minimum 2-year personal lease. 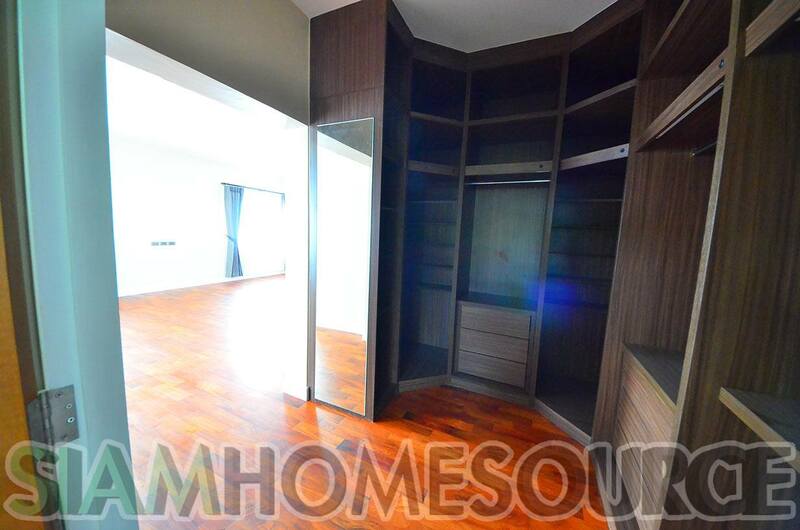 House is rented unfurnished but the owner is open to furnishing it (negotiable). 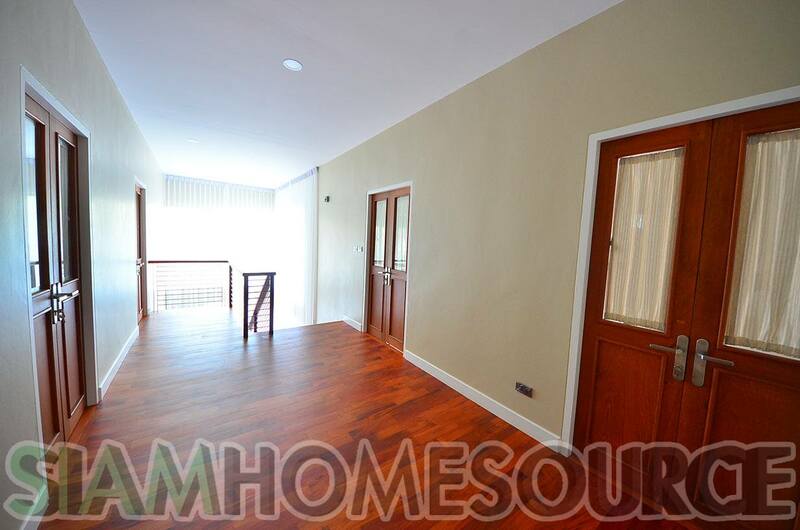 House was rented after only 2 days on the market.